Data center cooling is one area that has been garnering a lot of attention lately. The ever increasing power demands of data centers results in more heat generation. With increase in power and hardware, air based cooling techniques are struggling to keep data centers cool. Enterprises are being forced to look for alternatives. As the heat density in data centers continues to grow there is demand for a solution capable of cooling the equipment. With data centers gobbling 2 percent of global electricity, improving energy efficiency in data center cooling is becoming more important. With liquid cooling systems becoming the priority cooling solution in the future, there is always a scope for education and economic viability. The conventional wisdom for data center cooling promotes technology that is 30 years old. Continuing to follow the conventional pathway does not offer opportunity for rapid progress and innovation. The data center cooling industry needs to make a quantum leap forward. 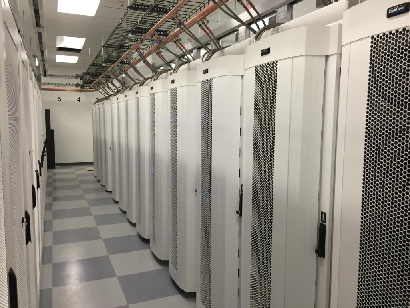 The conventional wisdom for data center cooling promotes technology that is 30 years old. Continuing to follow the conventional pathway does not offer opportunity for rapid progress and innovation. With rising energy costs and increasing computing equipment heat load, “slow but steady” is the wrong approach. The data center cooling industry needs to make a quantum leap forward. In 2012, super-computing facilities in the Department of Defense and U.S Governments Data Center announced that they will be shifting to liquid cooling systems for managing all their data centers. Gartner recently published “Plan Now for Liquid Cooling in Your Data Center” where they state “Liquid cooling solutions are the most cost-effective as power-per-rack-density increases”. In addition Gartner is predicting the following: “Data center designs are changing rapidly to accommodate this new reality” and that “New Metrics such as kilowatt-per-rack units are replacing kilowatts per square foot”. Today, data centers across the planet are turning to liquid based cooling solutions to keep the mercury under control within the data center infrastructure. -Liquid cooling does generate a more efficient (and a balanced) cooling solution for today's data center. OptiCool® is the perfect match for these applications as it was designed for high heat load racks. Being 95% more energy efficient than other solutions also helps with utility cost savings and provides a solid ROI. This Gartner research clearly validates both the need for and the results a customer can achieve with OptiCool®. OptiCool Technologies is helping customers achieve improvements in capacity, energy efficiency and space efficiency. OptiCool® revolutionizes data center design by eliminating the complexity of airflow management. An entire industry has been established of software firms, consultants and engineers who focus on optimizing airflow management. The critical question is why spend resources continuously planning for cooling supply to meet cooling demand? Ideally, the answer would be to provide high capacity, at low energy use, at a reasonable capital cost. 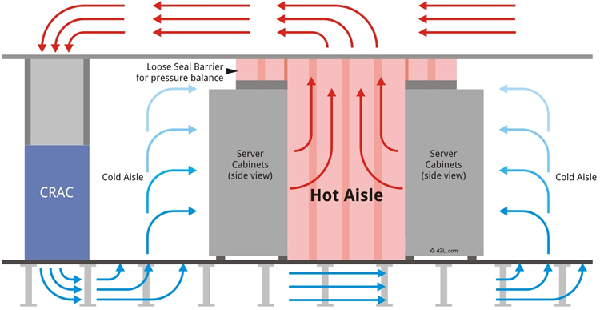 This approach would result in eliminating the complexity of airflow management. At OptiCool Technologies, we strive to understand the challenges our customers face today and how to address them with technology innovation. We are revolutionizing data center design by offering a substantial increase in cooling capacity and energy efficiency while reducing space requirements. We specialize in refrigerant-based cooling of electronics because it is the future. We do not have to worry about maintaining market share for a legacy product line while trying to innovate for the future. It has been said, “the best way to predict the future is to create it.” We are helping our customers realize the future every day. Join the revolution. We provide close-coupled solution supporting low- to high-density applications (up to 30 kW per rack). Our Cool Door® is universally adaptable to most equipment racks. The OptiCool® data center cooling solution is modular by design. Modularity offers far superior redundancy options to conventional cooling, in-row and other forms of in-rack cooling. OptiCool® can provide up to 20 kW of N+1 cooling capacity within the rack in the unlikely event of an outage. Less effective supplimentary or adjacent redundancy options are avoided such as on top of the rack, on the ceiling, or elsewhere in the equipment row. OptiCool® does not require a raised floor saving on cost for new construction, but can support raised floor, if required. The OptiCool® solution can save between 66% (DX) and 90% (Chilled Water) of the “cooling footprint” within your data center. OptiCool® space requirement for is substantially less than row-based or computer room air conditioner (CRAC) cooling. The OptiCool® solution can save between 57% (DX) and 95% (Chilled Water) of the energy used for cooling a data center in comparison to conventional cooling. These savings turn directly into a reduction in operating expenses and afford the opportunity for capital subsidy for energy efficiency. These subsidies are generally available from your electricity provider. In Canada contact Tri-Paragon Inc. at 416.865.3392 or at info@triparagon.com to help revolutionize your date centre design and we will help you to access the subsidies available from your local electricity provider. To obtain a copy of the system overview and see a video of the cooling rack containment system click the button below and complete the form on the next page.